When it comes to storing jewellery, precious metals, and collections of valuables, both commercial and residential customers turn to MicroVault storage solutions from International Vault Australia. Microvault storage offers high-end intrusion and theft prevention. Designed and built using UL 608 rated Lightweight Vault Panels in conjunction with a Gladiator Vault Door, MicroVaults have a greater usable interior space than safes of similar size at a fraction of the weight. The MicroVault can be built in a variety of size configurations to meet the demands of the application and allow for significantly easier relocation than comparable traditional safes. This vault system can also be expanded later on by one of our installation teams through simply adding additional panels. To learn more, including access to downloadable brochures, visit our MicroVault page, or call us today at 1800 465 656. Customizable to meet specific storage needs. Less than half the weight of a traditional safe. 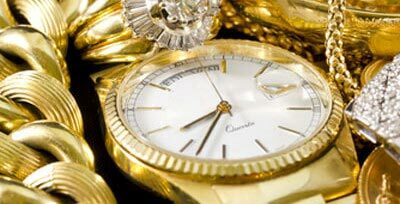 Customers looking to store extremely valuable jewellery like precious stones, necklaces, bracelets or expensive watches need look no further than International Vault. Vaults for jewellery storage can come in several different sizes and options. Please Contact Us today to learn more about the options that International Vault can provide to protect your valuable jewellery and precious metals.